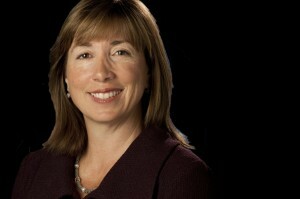 Lori Garver, deputy administrator at NASA, will visit a Lockheed Martin facility Monday to view the next spacecraft to launch to Mars. NASA said Garver will speak with reporters following her tour of the Mars Atmosphere and Volatile Evolution cleanroom and the facility where the Orion vehicle’s heat shield is being manufactured, both located in Littleton, Colo.
Lockheed’s MAVEN will orbit Mars and explore how the sun may have stripped the planet of most of its atmosphere, turning what was possibly once a planet habitable to microbial life into a cold and barren desert world. MAVEN has entered the final assembly stage as of September with a launch date scheduled for November 2013 (click over to TheNewNewInternet for more information). The company is also building the Orion vehicle and its heat shield.